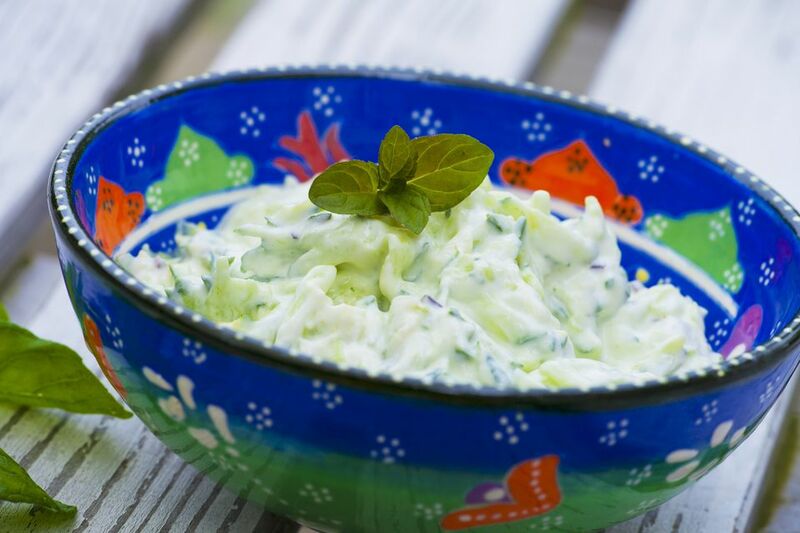 The Polish name for cucumbers in sour cream is mizeria, literally meaning "misery." But this easy and delightful, cooling salad is anything but miserable. It is a great accompaniment to pork, ham, chicken, fish, or as a tasty dish on a vegetarian buffet. Choose thin cucumbers with small seeds or the seedless variety and dress the salad just before serving so the dish stays nice and crisp. Traditionally, vinegar is used in the dressing, but since it may thin the mixture out too much it is included as an optional ingredient, leaving the choice up to you. If desired, run a channel knife or fork down the length of the cucumbers to create shallow grooves and produce a pretty edge; slice the cucumber thinly. Place cucumber slices in a colander set over a bowl to catch the juices; salt the cucumbers liberally and allow to stand for 30 minutes. While the cucumbers are sitting, make the dressing. In a small bowl, mix together sour cream, sugar, vinegar if using, and fresh dill until well blended. Cover dressing and refrigerate until ready to assemble the salad. Pat cucumbers dry and place in a medium bowl. Add the dressing and toss with the cucumber slices. Season to taste with salt and black pepper. Chill until very cold and sprinkle with additional dill, if desired, before serving. Why is This Dish "Miserable?" The name of this dish, mizeria, is attributed to Queen Bona Sforza, an Italian princess who married Polish King Sigismund I in the 16th century. Homesick for her native Italy where cucumbers were common, every time she ate this Polish combination of cucumbers and sour cream it made her cry. Hence the Polish word for "misery," derived from the Latin miseriae, was given to this dish. Salting the cucumbers is an important step in this recipe that should not be skipped. Cucumbers hold a lot of water, which is what makes them so refreshing. But the water content also will make whatever dish they are a part of liquidy and soggy. Salting the vegetable beforehand will pull out all that liquid, leaving nice and crisp pieces of cucumber, perfect for adding to any dish, especially one that includes sour cream. Another popular summertime recipe using cucumbers is Polish cucumber-beet soup. It has a brilliant magenta color and the buttermilk, sour cream, and hard-cooked eggs it's made with quench the thirst—so much so, it is often poured into a glass and consumed as a beverage.